Hello, my name is Wayne McFate. I am the Inventor and Developer of Restorz-It. Since I do not have the opportunity to personally talk with you about my product and the applications of it, I would like to answer some of the most commonly asked questions concerning Restorz-It. Many people have asked me how Restorz-It came to be. I refinished furniture and restored antiques for many years. It became apparent to me that a large number of these pieces did not need to be stripped with a liquids stripper. The old finish was perhaps dull, faded, scratched, water spotted and generally did not look very good. From my experience as a finisher, I knew that stripping will raise the grain, loosen the glue joints and change the look of furniture, cabinets or valuable antiques. Almost anyone who has stripped furniture would agree that it is a difficult and most disagreeable task. I decided to develop a unique restoration formula that would take care of these problems easily. One that could be wiped on with a cloth over the existing finish to restore it beautifully without the need to strip and sand. It took many years of trial and error to come up with just the right formula - one that was very durable, water, heat and sun resistant, and could be used over any kind of finish (interior or exterior). 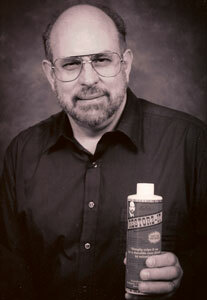 I used this formula for many years in my refinishing business before I began marketing it.